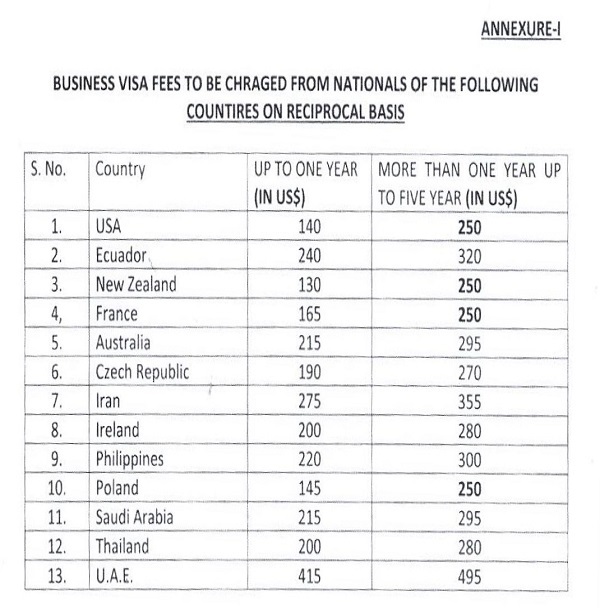 Revised rates of visa fees ,effective from 1st July2008 for the nationals of Suriname and countries of this Embassy's concurrent accreditation ie. Barbados, St.Lucia and St.Vincent & Grenadines. If fee is paid by cheque or draft US$ 5.00 should be added in the fee. US Nationals are required to pay an extra sum of US$ 20.00 as visa application fee in addition to visa fee. There should be a gap of two months between two visits for a Tourist visa holder.